When you think of the two most popular female rappers in the music industry, you think of Cardi B and Nicki Minaj. And if you know that, you probably also know about the endless drama that seems to surround these two ladies almost all the time. Their public digs at each other keep the fire going, with fans even considering Cardi, 25, Nicki’s nemesis, but the two hadn’t had a face-off as of yet. Looks like all the gossip mongers finally got what they’ve been waiting for! The Bodak Yellow singer stepped out in New York City on September 7th to attend the Harper’s Bazaar ICONS party, which the Anaconda singer was to show up for as well. 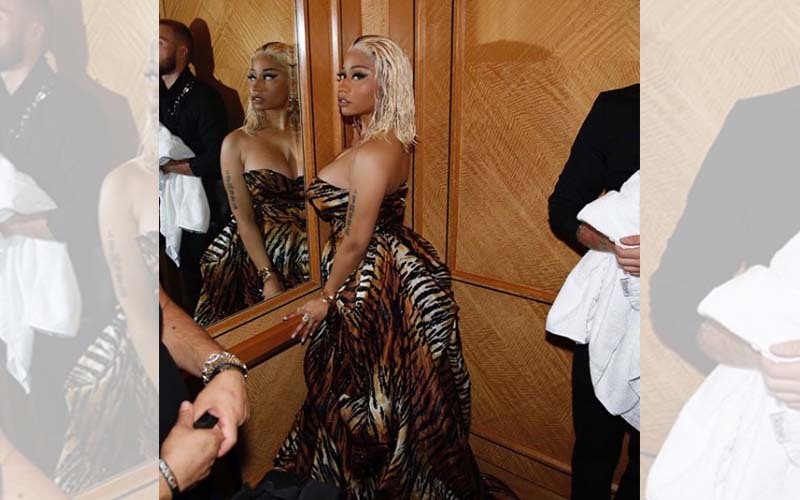 It is quite obvious that putting these two feisty women in one room would cause a brawl, so it was no surprise when reports surfaced that Cardi flung one of her red platform heels at Minaj. The two were quickly separated but the little incident caused the back of Cardi’s gown to completely rip. According to TMZ, Cardi took one look at Nicki and stated “Let me tell you something” and just lunged at Minaj. Security got to her first and pulled the two apart, which caused Cardi to pull her shoe off and throw it right at the Only rapper. Cardi apparently then left the event and was seen with a huge bump over her left eye while she walked out of the Plaza Hotel, totally barefoot. Meanwhile, Nicki seemingly stayed back and continued to enjoy the evening. Cardi took to her Instagram later to rant about Minaj, revealing that the 35-year-old talked about Cardi’s ability to be a good mother to her two-month-old little girl, Kulture. She posted a picture to explain it all, writing, “I let you sneak diss me, I let you lie on me, I let you attempt to stop my bags, f**k up the way I eat!” She also shockingly added, “You’ve threaten other artists n the industry, told them if they work with me you’ll stop f**kin with them! !” hinting that Minaj has tried to sabotage her career and life numerous times. Only time will tell what the real deal is, meanwhile we have some drama to enjoy.